We light this candle on the sad lose of a brilliant up and coming actor of great potential and talent. I'm sure that this is a great shock to everyone and I hope this will keep his memory going on forever. We all pray that his family will find peace and that his fans will always remember the great things he did in his life. Glenn Quinn was born in Dublin, Ireland on May 28, 1970. Glenn was named Glenn Martin Christopher Francis Quinn, he was the proud son of Murty and Bernadette, and had two sisters called Sonya and Louis.. As a teenager he played drums in local band. He also did some acting in local theatre plays and attended Clonkeen College, a secondary school located in south county Dublin. In 1988, Glenn, his mother, and sisters, all moved to Long Beach, California. He worked a few odd jobs before he decided to try acting. He got his first part in the Richard Marx's music video "Satisfied". He got his first speaking part as a guest star on the television series "The Outsiders". His first feature film role came along in the movie "Shout", in which he starred opposite John Travolta and Gwyneth Paltrow. Tragic death of actor 'Glenn Quinn' who played Doyle in Angel. 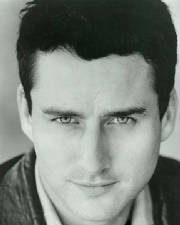 Glenn Quinn, who was 32, was found at the house of a friend on Tuesday, December 3rd 2002. The exact cause of his death is currently unknown. Glenn Quinn spent eight years playing Mark Healy in hit TV comedy Roseanne before joining the Buffy spin-off as Angel's half-demon mentor called Doyle in the first series of Angel, until the character made a dramatic exit in the episode Hero. Born in Dublin, he used his own accent in the show, although writer Jane Espenson revealed that Glenn often had to re-dub his own dialogue in post-production if it sounded too incomprehensible to an American audience. As well as acting, Glenn owned a night-club in Los Angeles. "Glenn's body of work earned him the devotion of fans around the world, and he will most certainly be sorely missed. Id like to extend deepest sympathies to his friends and family, and the assurance that through his work, Glenn touched all of us.